Welcome to the Sorenstam Academy at Charlotte Harbor National Golf Club. Our goal is for you to better understand your swing and your game so that we can provide you the instruction and drills to help you reach your full potential. Our approach is holistic. We will make assessments on your current game, equipment, and fitness. We will provide you with feedback and drills that will help you to play better golf, whether you’re a beginner, an aspiring junior, an avid golfer or if you compete at a professional level. We have plans for a state-of-the-art facility that will feature some great technology (Trackman, Swing Catalyst (video), SAM PuttLab and customized fitting carts for Callaway and TaylorMade Products) that will help to make you a better player. The Workout Area will be equipped with Cable Cross, medicine balls, resistance bands, and a stretching area. The facility also will feature two hitting bays, which means rain or shine you’ll be able to work on your game and be fitted for the best technology in the game. The Sorenstam Academy at Charlotte Harbor National Golf Club is now open and offers individual lessons and group clinics. For more information, or to schedule a lesson, please call Charlotte Harbor National Golf Club at (941) 429 0500 or email Charlotta at charlotta.sorenstam@skyigolf.com. Charlotta Sorenstam is an LPGA champion who competed on the LPGA and LET Tours for more than a decade. Now instructing, she continues to compete, playing alongside the top players in the game at this year’s KPMG Women’s PGA Championship. As an amateur, Charlotta was a member of the Swedish National Team for seven years. She captured the 1993 European Team Championship title and won the 1992 Angso Ladies Open. In 1993, Sorenstam competed for the University of Texas and captured the NCAA individual championship at the University of Georgia Golf Course on her way to earning All-America honors. Charlotta turned Professional in 1994. In 1995-96, she competed on the Ladies European Tour (LET). In 1996, she finished second at the LPGA Final Qualifying Tournament to earn exempt status for the 1997 LPGA season. In 1998, she recorded 15 top-20 finishes, including a season-best tie for second at the Friendly’s Classic, and made her first European Solheim Cup Team. In 2000, she became the first of seven Rolex First-Time Winners when she held off Karrie Webb and her Hall of Fame sister, Annika, at the Standard Register PING, where Charlotta recorded her career-low round of 64 during the second round. She crossed the $1 million mark in career earnings following the Arch Wireless Championship. In 2008, she retired from playing full-time on the LPGA after 11 seasons (1997-2008). 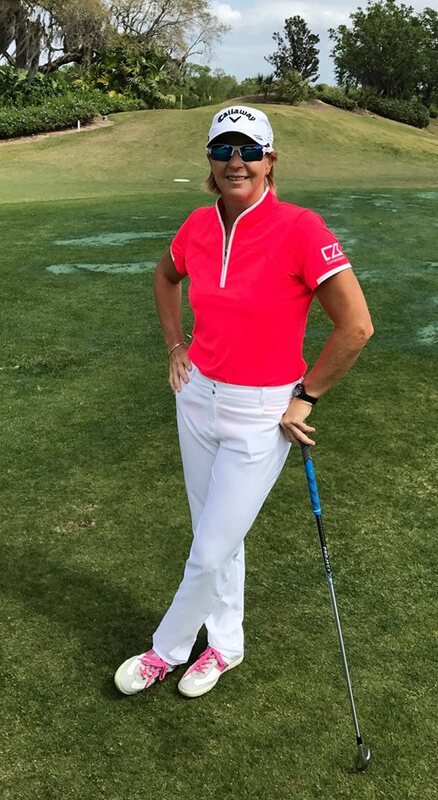 Charlotta got involved in teaching, and was an instructor at the Annika Academy at Reunion Resort, just outside of Orlando, Fla., for more than a decade. During the first two years of working at the Academy she also competed on the LPGA Tour. She currently serves as the Director of Instruction at The Sorenstam Academy located at Charlotte Harbor National Golf Club, and also heads up Grow The Game initiatives for an exciting startup, SKYiGOLF, where she is Chief Inclusion Officer and Director of Instruction.